After leaving the Cadbury’s factory I wandered down the hill with brolly up mostly choosing the pathways left of Cadbury Road that were closest to the River. Occasionally there were single file tracks that descended to the River but I preferred to continue in the direction of the open and exposed Windermere Park. As I descended onto the flatter lowlands I had my first resight, since walking on the eastern shore, of the Bowen Bridge further south. In the distance I could see the tops of buildings that are part of the Nystar industry on the western shore opposite Risdon. 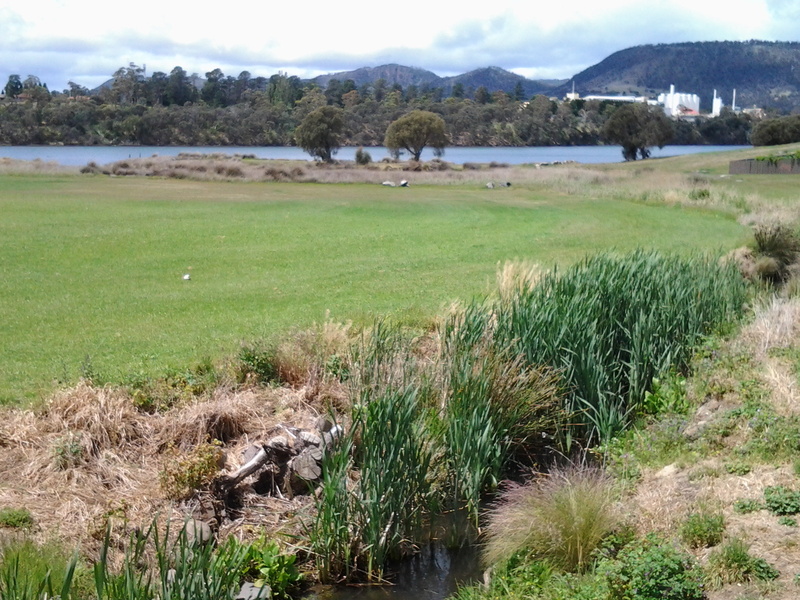 Soon after arrival on the low parkland around 1.45pm, I walked past a fenced area designated as Windermere’s Passive Stormwater Treatment Wetland – this was attractively landscaped and so I thought it was a shame the fence was so ordinary by comparison. Black swans paraded across the blown waters of Windermere Bay. A new war memorial was in the process of construction. Further across the lowlands, duckboard paths meandered over the water logged mud and water grasses. Finally I reached the impassable Faulkners Rivulet, a tiny stream with water from the mountains. Clearly others had rock hopped across the Rivulet but the rocks were slippery with green mosses and I was not prepared to slip, get wet and maybe sprain a body part. 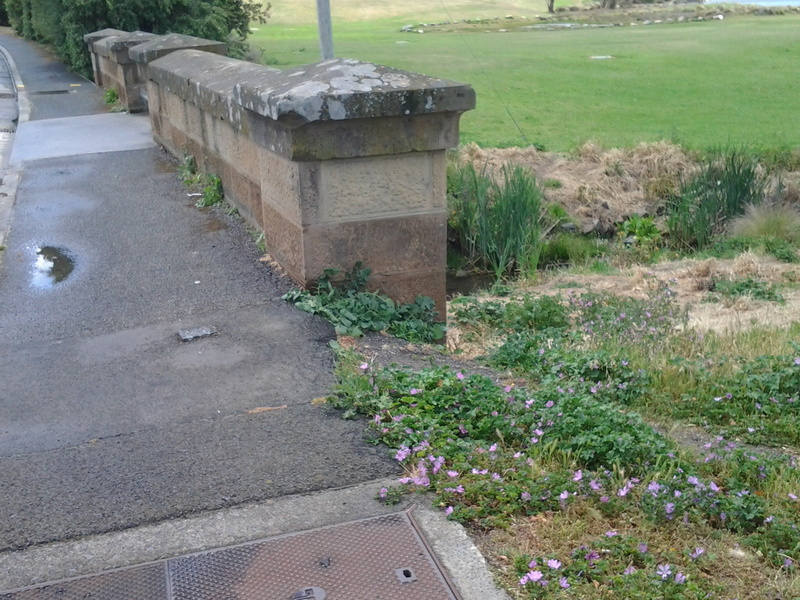 Instead, I walked up to the Main Road and was able to cross a 19th century simple but handsome sandstone bridge. I looked back across Windermere Bay to the white edifice of Cadbury on the slight rise in the distance. Not far along the Main Road from the bridge, I turned left at Windermere Beach Road at 2.07pm. Walking down this suburban street I was constantly amused by the free roaming ducks that were making a temporary home in various front yards, or simply taking a walk along the street. (I remember a house in which I lived in Darwin had ducks on the property, and their disturbing inclination to do their green business on the front door step. I wondered if these ducks had similar bad habits.) I smiled when one street was signposted Teal Street. Ducks were everywhere. Something new. At the T junction of this road with Curlew Parade, the green shapes on the street corners between slabs of concrete pathway, out of which grew trees, was noticeably even and weed free. Artificial grass turf. I wondered if the City of Glenorchy Council had installed it or whether a frustrated local resident had paid for it. Looking around, straggling weeds and grasses was the norm for the public areas along these streets. 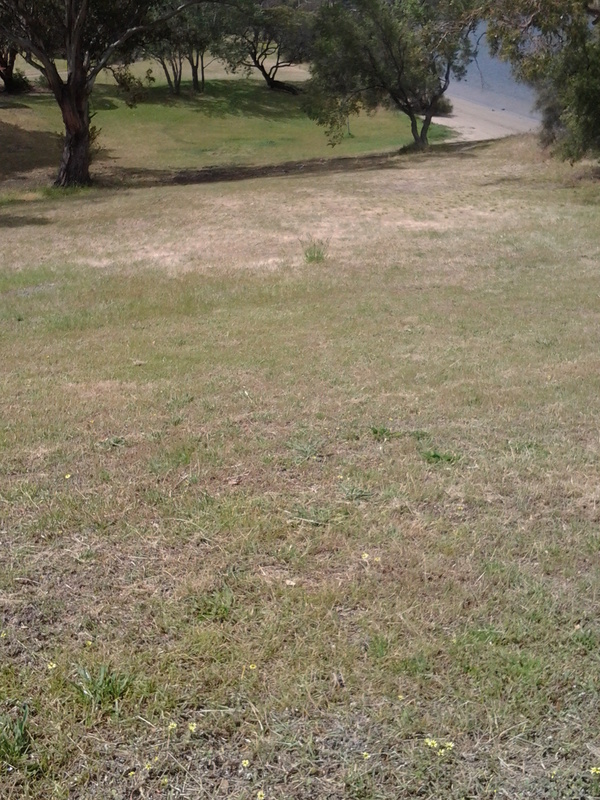 I found the fake lawn to be highly attractive. By 2.15pm I reached the Knights Point Reserve with sombre heavy clouds indicating major rain was on its way. The drops on my umbrella were the start of something stronger to come. The track continued along behind Windermere Beach before trailing around a headland southwards. 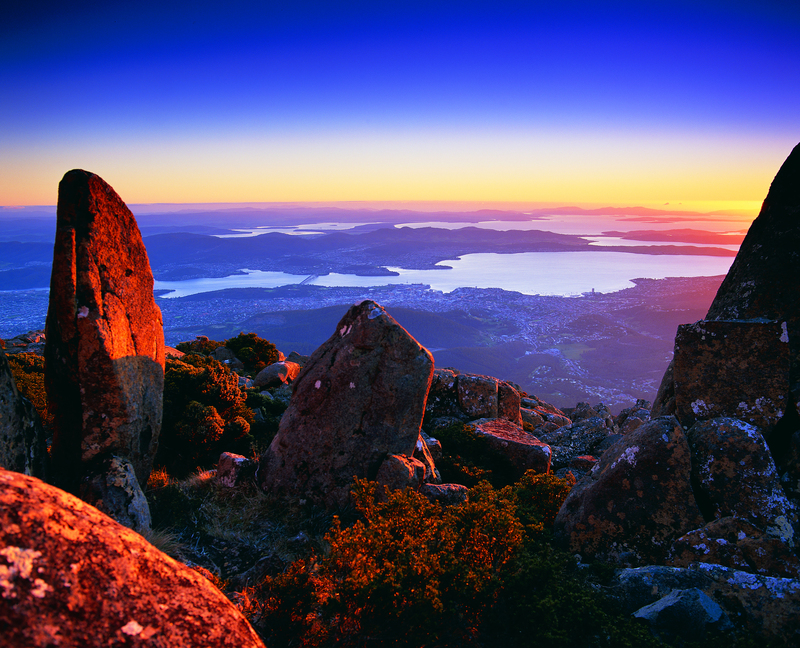 This entry was posted in Derwent River, Hobart, Tasmania, Walking and tagged Bowen Bridge, Cadbury, City of Glenorchy, Curlew Parade, Faulkner's Rivulet, Knights Point Reserve, Nystar, Passive Stormwater Treatment Wetland, Teak Street, Windermere Bay, Windermere Beach on November 30, 2014 by Tasmanian traveller.